The global whole slide imaging market is expected to grow significantly in the near future, as there is high demand for digital pathology in clinical setup. This will help in improving existing patient diagnostics imaging measures. 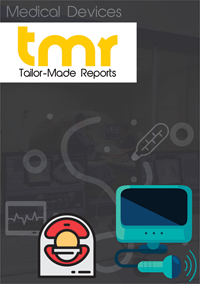 In addition, rising incidence of chronic diseases such as cancer and increasing elderly population has triggered the technological advancements in diagnostic technique, in turn; expand the global whole slide imaging market. Relating to these factors, the report on the global whole slide imaging market gives out the information about the growth of this market. It provides detailed analysis of the competition prevailing in the market. Trends, opportunities, and restraints are also systematically described in the report. With this information, key stakeholders in the whole slide imaging market will be able to take smarter decisions and implement their strategies accordingly. Currently, the trend prevailing in the global whole slide imaging market is that of intense research and development of the application of static and dynamic systems. This aspect will give a thrust to increase the use of this technology. As an instance, hybrid technology that works in the combination of dynamic and static systems has advantage of both systems and gain further fuel the market’s growth. Moreover, whole slide imaging has numerous benefits as compared to conventional light microscopes, which has created lucrative opportunities for growth. The global whole slide imaging market has huge growth potential, as the major players in the market are engaged in developing novel procedures by innovating. Cancer research industry is one area in which whole slide imaging will play a crucial role. Increasing efforts made to treat growing cases of cancer and development of personalized medicines is creating a huge growth potential for the global whole slide imaging market. In addition, growing popularity of tele pathology is also expected accelerate growth in this market. On the regional front, Asia Pacific is expected to hold maximum share in the global whole slide imaging market. The presence of huge target customer base and growing emphasis to expand and develop healthcare sector are creating huge growth prospects in this market. Moreover, due to the large population base as there is a high demand for pathology specimen to treat large number of people. This has also bolster the global whole slide imaging market. Rising awareness about the benefits of the WSI and growing research on drug discovery has also increased the growth prospects in this market. Further, developing regions have huge potential for the growth of the key players. Therefore, they are investing large amount of money to meet the untapped opportunities in Asia Pacific region. In addition, escalating demand for novel treatment options, reduction in laboratory expenses, and better patient care facilities are expected to bolster demand in the whole slide imaging market. North America is also expected to contribute substantial share in the growth of this market. Supportive government initiatives, huge investments in research and development activities, and strong presence of key players in the regions are the major factors driving the global whole slide imaging market in this region. In the competitive landscape section, researchers have thoroughly analyzed key players in the operating in the whole slide imaging market. Some of the key players are Omynx LLC, Definiens, 3DHistech, Inc., Olympus Corporation, Leica Biosystems, GE Healthcare, Philips Healthcare, Objective Pathology Services, and Ventana Medical Systems, Inc. these players are adopting various organic and inorganic strategies such as expansion, innovation, product development, collaboration, and mergers and acquisition. These strategies will help them to strengthen their position in the market and gives competitive edge. For example, Royal Philips acquired the Irish PathXL, an image-based analysis firm. With this acquisition, the company will develop integrated tools to meet its growing applications in computational biology, image analytics, education, and workflow solutions.